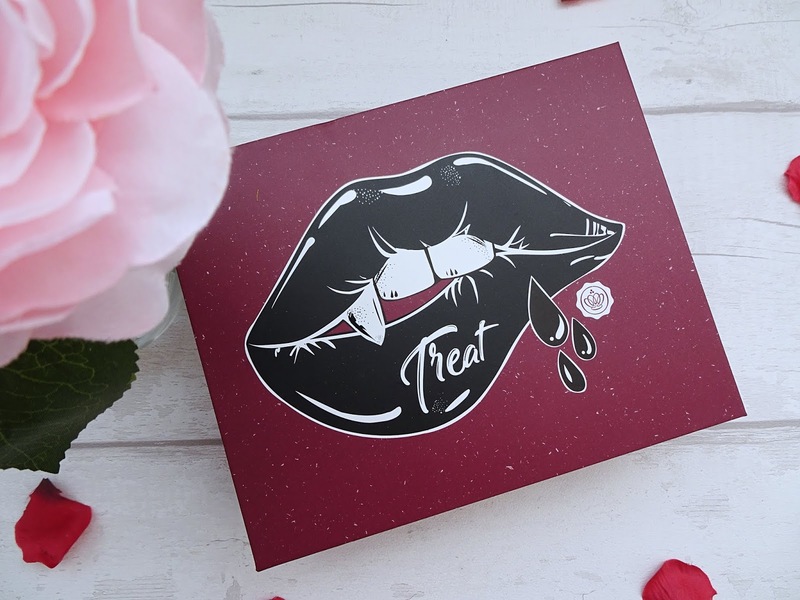 October Glossybox Review | Trick or Treat? As Halloween is just round the corner Glossybox have decided to treat their subscribers to 2 very special boxes this month, Trick or Treat. That is right, you will either get a 'Trick' or a 'Treat' themed box, but don't panic, I have seen the contents of both boxes and they are both full of treats! I received the 'Treat' version which features a very cool and fun illustration on the box, in fact, it might be my favourite design out of all the boxes I have received so far. I am not a huge fan of horror or Halloween related things but I just love the design they put on these boxes and you can tell a lot of time and effort went into creating these boxes. 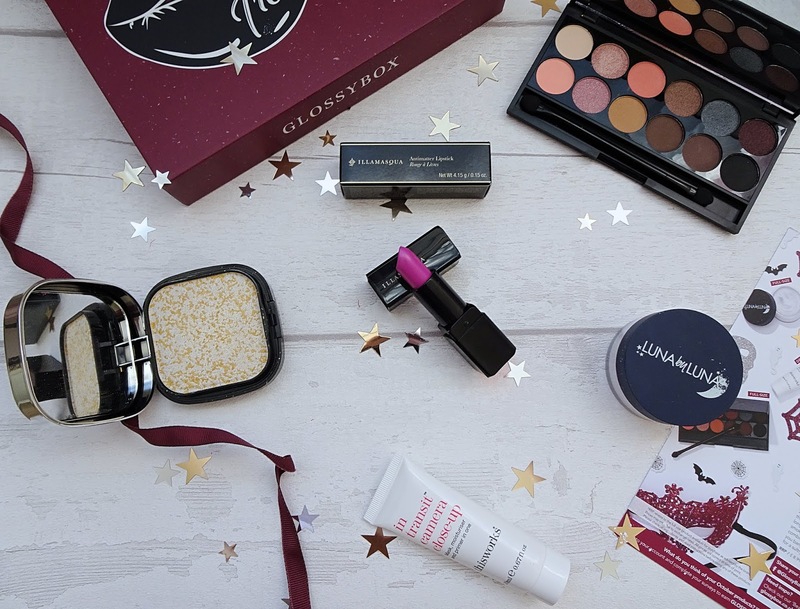 So, what is inside this months Treat Glossybox? Carry on reading to find out! I have heard many good things about this product before but I have never gotten round to trying it out, so when I saw this in this months box I was super happy. This is a deluxe sized mini and retails for around £17 just for the mini size. It claims to be a moisturiser, mask and primer all in one. When I used this, I used it as a moisturiser and a primer at the same time, so I just applied it on a clean face with no other skincare products. I found this to be really hydrating on the skin and my makeup went on top of it really well. I think that this is a fantastic product to have in your makeup kit and the only downside is that I wish it was a bigger size and not as costly! In this months box there is a full size Illamasqua Lipstick and if you have received the 'Treat' box then you will find the shade 'Nebula' from the brands Animatter collection. This cruelty-free brand says that this lipstick is a long lasting, semi-matte finish which is richly pigmented and just glides on without much effort at all. I am not a fan of hot pink / bright coloured lipsticks as they just do not suit me or my skin tone. 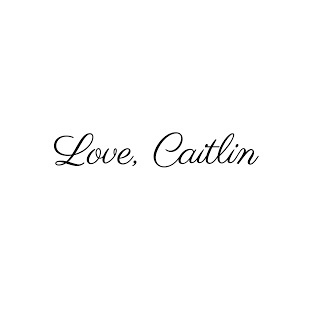 I did, however, try this on and it is quite flattering and would suit a wide range of skin tones and it happens to make your teeth look whiter and that is always a bonus! The lipstick it self felt really nice on the lips and was easy to apply and didn't feel too sticky or too drying. I will be gifting this lipstick to one of my friends or family members though as it will end up not being used a lot by me. The lipstick also comes in a lovely black, elegant packaging, which I am a fan of! The lipstick is full sized and contains around 4.15g of product! 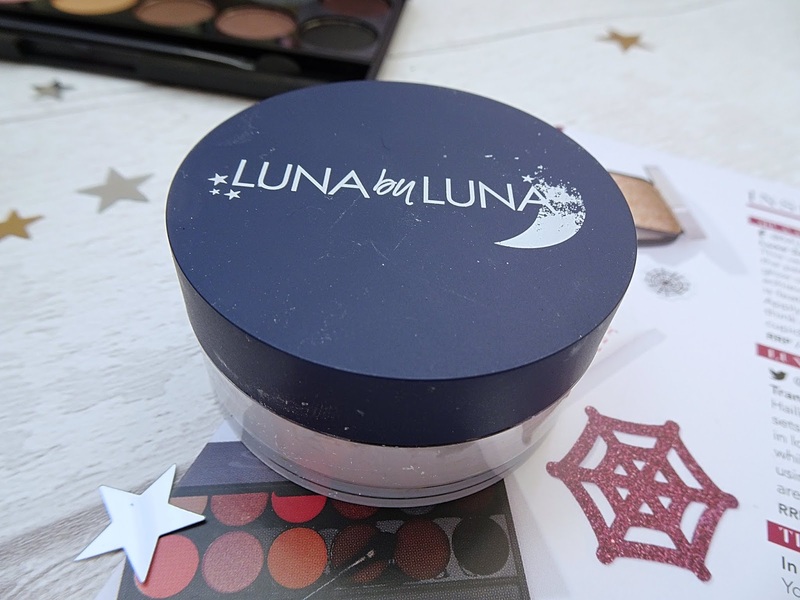 This is another cruelty-free, full sized product and it is from the brand Luna by Luna. 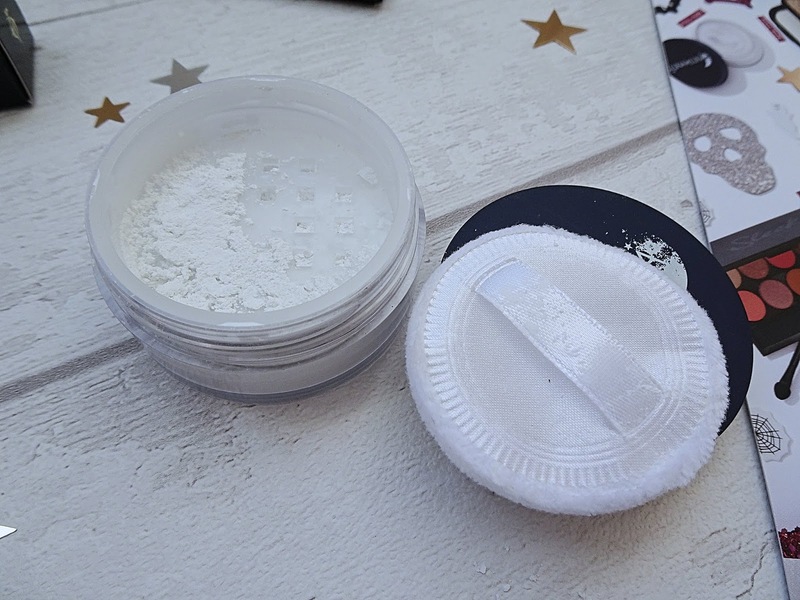 The lightweight and finely milled formula allows you to effortlessly dust on the powder to keep your makeup looking its best for longer, no matter what the night throws at you. I do have to admit, this is not going to be the powder for me. It wasn't a terrible powder but it gave me such a white cast on my face that it washed me out and I looked like a ghost. The packaging is also not that good as the powder was just leaking everywhere even before I removed the little sticker that is designed to keep the powder in till you're ready to use it. Even though the packaging felt a little cheap I did like the fact that it came with a powder puff, however, it is so small and would take you forever to powder your whole face with it! This is a full sized product that contains 5g of product and it retails for £7. For something that is very small, and the fact that the packaging is so cheaply made, it is definitely not worth the money at all. There are plenty of high street powders for around £4 that work a lot better and contain a lot more product. You can never have too many highlighters in your kit! 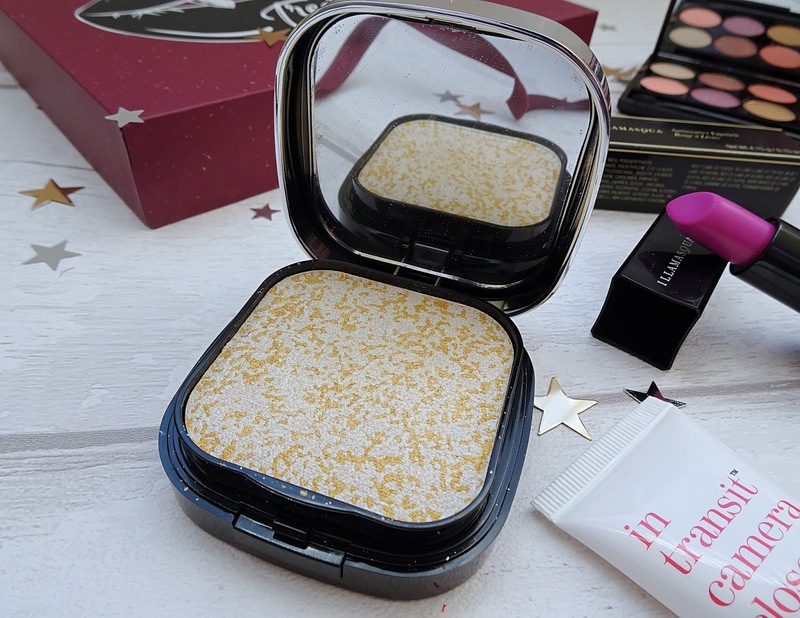 This was one of my favourite things in this months box as it is a duo compact that contains a lightweight and invisible cover setting powder and a white gold highlighting powder. This is the perfect duo for setting makeup and adding a soft but luminescent glow of highlight to finish your look. 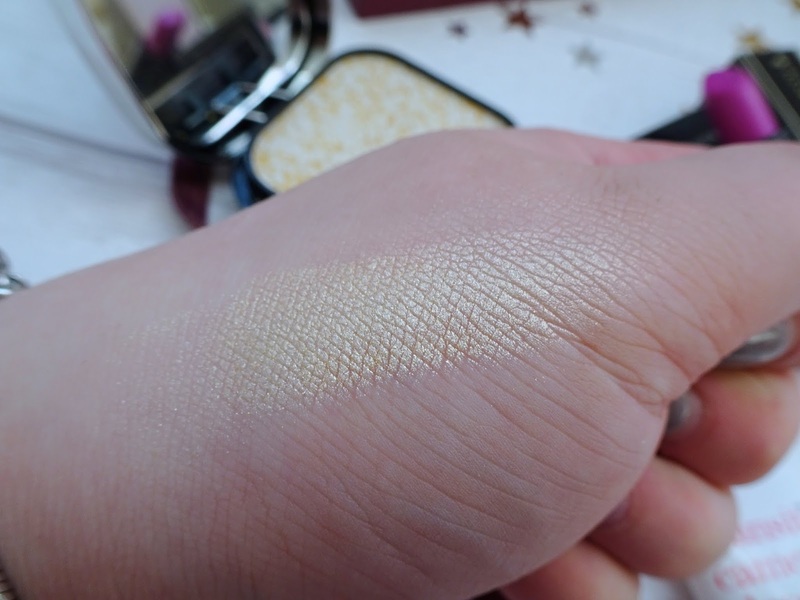 This highlight is such a gorgeous gold colour, it can be a little yellow depending on how much you apply, but I think that it is one of those colours that will look good on pretty much anyone. As you can see from the photo above, the way it is set out in the compact is so cool, it is white and gold dots that when you swirl together create the most gorgeous white gold colour. 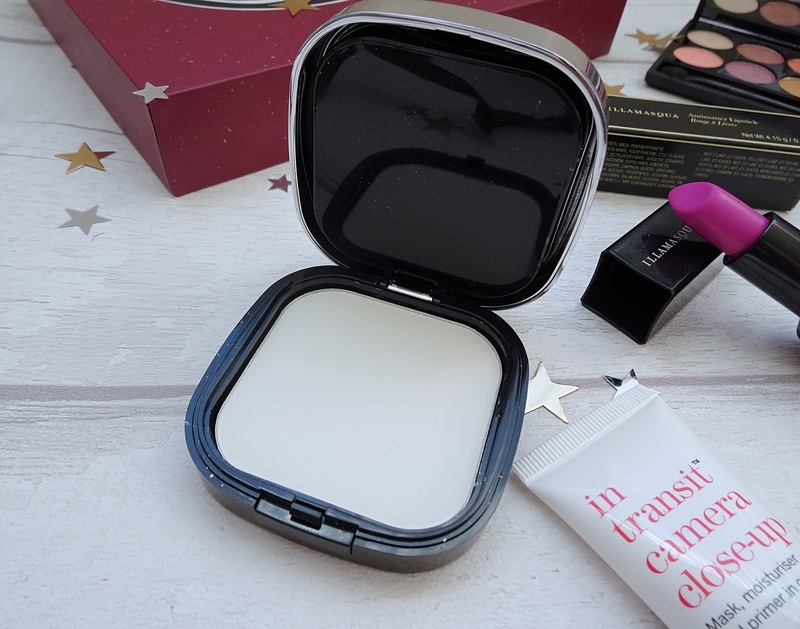 The face powder underneath is not too shabby either, again, I am not a huge fan of 'white transparent' powders as they always seem to leave some sort of white cast on my face, but this is perfect for touching up throughout the day. I keep it in my handbag incase I get a little oily during the day then I can pop this out and use it to touch up those areas easy, oh and it has a mirror inside too which is even more handy! 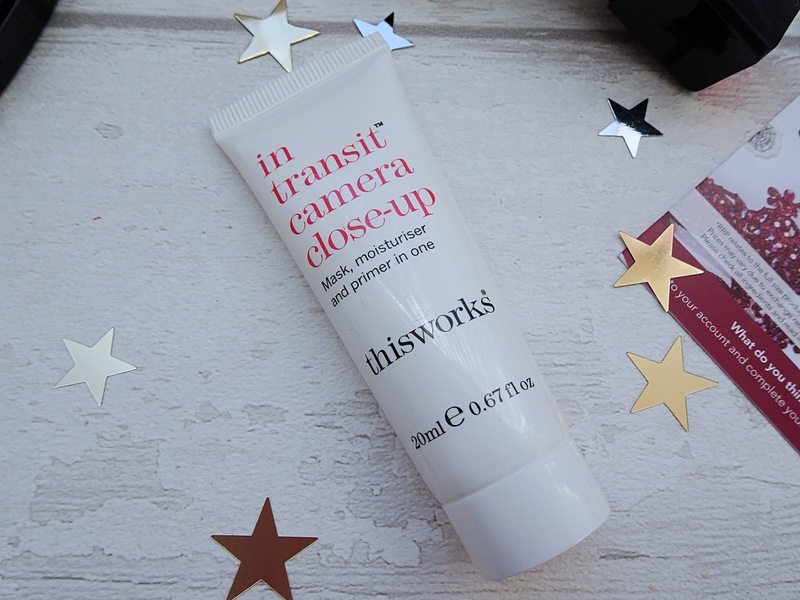 You get around 20g of product in this compact and it retails for £5 which I think is such a bargain for technically 2 products in one! The final product in this month's Glossybox is a full sized eyeshadow palette from Sleek in Oh So Special. The palette has 12 different shades, some of them are shimmer and some of them are matte finishes. I do really like the colours in this palette and I am drawn to the ones of the left the most. As you can see, you have your more neutral, day time tones on the left and the darker, richer colours on the right which are perfect for evenings and nights out! The packaging of this palette is pretty decent, its just all black with the Sleek logo on top and it also comes with a huge mirror inside, which again, is so handy if you are out and about and need to check your makeup! 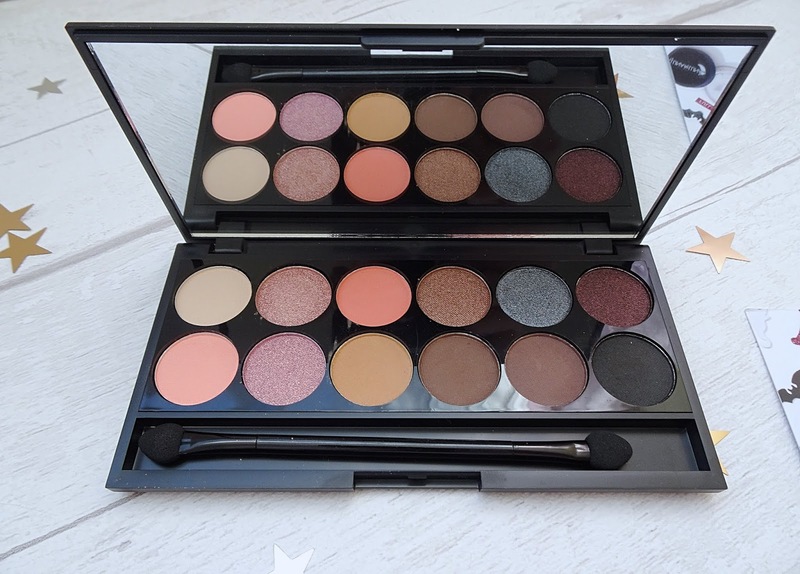 This palette also comes with a brush, however, it is one of the really cheap brushes that has the rubber/foam shaped sponges on the end that I definitely will not be using. This retails for £8.99 which is pretty decent for 12 eyeshadows that you can use for everyday and for nights out! Overall, this months Glossybox was a really good one, there was only one product that disappointed me and that was the Luna by Luna powder. Everything else has really surprised me and I have thoroughly enjoyed using them! All the products in this months box totals to £67.99 which is amazing considering you pay only £10 a month for the box. I would highly recommend Glossybox to anyone even as a gift or just for yourself as a monthly treat. I cannot wait to see next months box.